I am a part of the Amazon Influencer Program so, by clicking on my link I will earn a small fee but you won’t pay a higher price than usual. To see all some of my favorite items, stop by my Amazon Influencer page HERE ♥ I’ve just started putting it together, but am looking forward to adding more of the resources and products I love! I remember long before I truly grasped the depth of God’s love for me, I somehow knew the power of prayer. It was before I knew His Word well and before I understood things like grace and redemption. But every night my mom sat with me and together we said the Now I Lay Me Down to Sleep prayer. I didn’t really get what the words meant but as I pulled my stuffed bear close, I knew we were praying to a powerful and loving God. We closed our prayer asking for Him to protect and bless all our loved ones. As I grew, I replaced that prayer with The Lord’s Prayer. I always ended my prayer with the same request for protection and blessing of my loved ones and all those in the world who were hurting. But, at one point that day changed (which is a story for another time!). Not only did my prayer life transform, but my relationship with Christ changed. I changed. I began to understand God in a whole new way. As a regular reader, I think you know that about me. That prayer means everything. That I believe in it and want you to have it in your life, too. So, I am very excited to share with you a series my friend and prayer warrior, Carmen Brown of Married by His Grace and I are hosting! But that’s not all. As a part of this series and because Carmen and I are blessed to live near each other, we are hosting our first LIVE event together! If you are a Christian writer, blogger, or digital influencer and need some revival in your life, we would love to have you join us for this free evening of prayer and worship! If you personally cannot join us, would you share this information with others? We know it can be lonely and we know that all the pouring out can leave us running on empty. So, we want to join together and feed your soul with a message of hope from the Word of God. Recently I began to read a book that my husband recommended. He knows I have been digging deep into how to build a prayer life in an intimate way. His helpful advice was to learn about disciples who loved prayer and spoke about prayer. He offered a book titled: The Fight of Faith. Studies in the Pastoral Letters of Paul: 1 and 2 Timothy and Titus. A church elder once had a disagreement with his pastor. He went around to various people and complained about the pastor. Finally, word reached the pastor that this elder was spreading gossip about him. I found this story as something I believe most of us have either partaken in or at least witnessed in the church. Even amongst our brothers and sisters in Christ, conflict arises, but through prayer and the Spirit; much is accomplished and this is a focus we ought to see. This story is also fitting for the point I am hoping to bring forth to you in this post. Which is that prayer not only brings intimacy with God, but it also opens our eyes spiritually. It exposes and recovers us in areas we probably wouldn’t have been able to see without building ourselves spiritually through prayer. In this specific story, the pastor brought forth wisdom to approach a congregant in a peaceful manner. Through the trusting of God and the attitude of grace, the man was corrected in love and truth through the leading of the Holy Spirit in prayer. Not by man but by the Spirit. This part is vital to understanding the totality of this story. Through prayer and intercession of the Holy Spirit, truth is revealed to man. When we pray in the Spirit, truth is revealed to us due to the Holy Spirit being one with God. Which is then transpired to us through the Spirit as we allow ourselves to be led in prayer. Anyone can pray. Anyone can even make prayer sound and look good, but is it being led by the Spirit? Is it truly what the Spirit is having you speak through the connection of God leading it? Becoming more intimate in prayer means opening ourselves and allowing the Spirit to dwell and lead us. Eyes are opened while hearing is heightened to a new level. If I were not so highly in favor of living in the Spirit, I would post a disclosure here to say, “Beware, you may see and hear things that you may not be ready for”. Because truth is, being able to see more, leads you into a place of more accountability. Every word spoken, sentence written, and conversation partaken in now has a heightened responsibility level for how you participate. As a writer, I am encouraged by this. 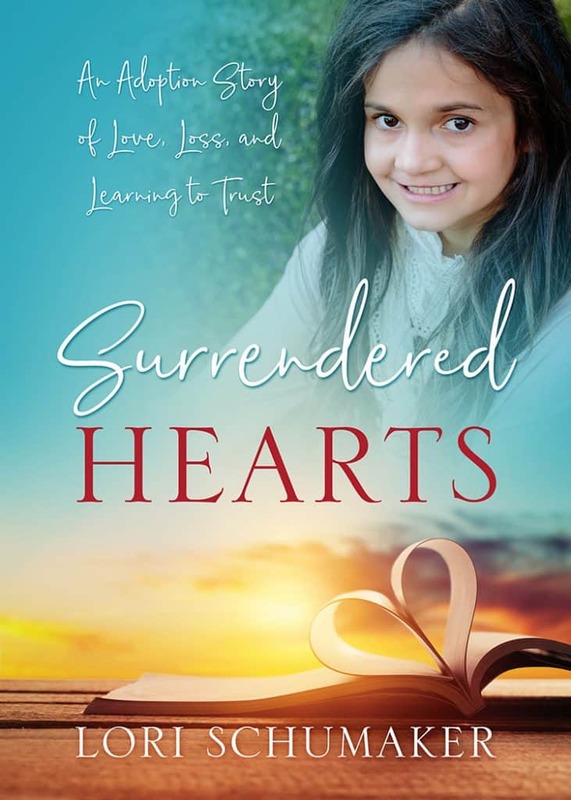 Hearing God’s voice and having the Spirit leading me in prayer for everyone who reads my writings, is a level I didn’t think I would experience. I had little confidence in my walk, but for 10 years I persevered through prayer. Because of it, I’ve heard the still voice of God. He has spoken to me in the most intimate manner about how to write, what to write, and how to encourage others in writing. There is no greater work than fulfilling your purpose in God. This week I want to share with you a new friend. Her name is Boma and she writes over at the April Journal. This week she wrote in almost a poem format, something titled Spin and Win. It’s a bit about temptation and a lot about our tendency to spin the wheel for the chance of doubling down … in spite of the Voice of Truth whispering in our conscience. Let me just say, it is brilliant and one you need to read as a challenge to yourself. And it drives home Carmen’s message above. The more in tune we are with the God through His Word and through prayer, the louder we will hear the Voice of Truth and stay true to the purpose to which He calls us. 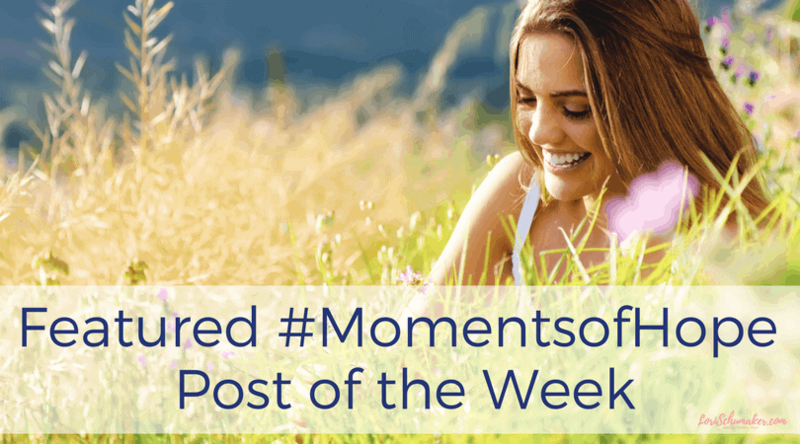 While you are there, please don’t forget to share some #MomentsofHope comment love ♥ And, Boma, please feel free to grab the Happily Featured Here button below! 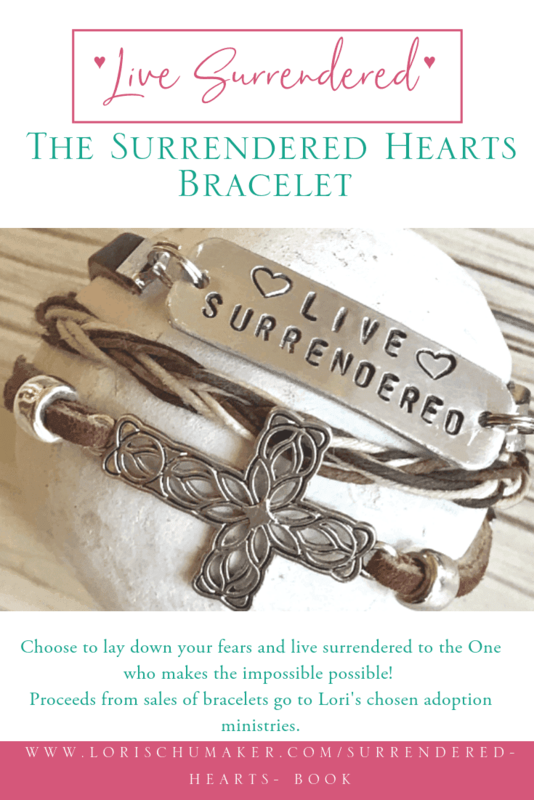 Share up to 2 blog post URLs resonating with the HOPE of Christ. Hope for tomorrow and hope for victory. The little things and the big that inspire us to lean into Jesus and let Him carry us through. #MomentsofHope is a place to give and get hope, so let’s encourage others in their efforts to share the hope of Jesus. Please stop by at least one other writer’s little corner of the blog world! 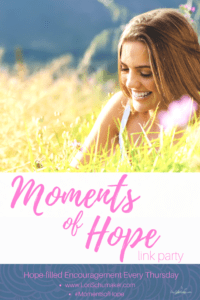 Please either grab the NEW #MomentsofHope button found HERE and in the sidebar, or link back to me. Amen! No wonder we’re told to pray without ceasing. Even Jesus left us an example; He tarried in the place of prayer. Thanks for this reminder, Carmen. And thanks very much for the feature, Lori. Blessings to you. Thank YOU for joining us here, Boma! Your words are both inspiring and challenging! It was my honor to feature your message of hope! Hmmm . . .Phoenix would be so lovely in April. What a great thing for you two to collaborate on worship and encouragement! Thanks, Lori, for your creative contributions to this community! This is so inspiring, Lori & Carmen. I love the words you shared today. The actions of the pastor are a fine example. Woot! Good word Carmen! Fun to see you here. 😉 Prayer truly is essential to our walk of faith, and everything that entails! Can’t wait to hear how your night of worship goes! I often wonder how much would change in our lives if we truly believed in the power of prayer. If, with each prayer we prayed, we remembered that we’re talking to the God of the universe and that His Spirit dwells within us. This was a great reminder to be in constant prayer, especially as a writer who seeks to spread God’s truth through my words! Love the story of the elder and the pastor. May I remember that attitude of humility in hard times. This story reminded me of a time I had to talk to a school administrator I did not know. The topic was of a delicate nature and had me hot the day before. My son, on the drive to the school, said mom, treat her as a friend working to solve a problem together. Wise advice. Thankfully our meeting opened in prayer and bother our hearts were changed. Prayer allowed us to see the other person’s viewpoint and work together as friends. Lori, blessings on your night of revival. It is making me wish I lived in Arizona. I am sure it will bless many of the ladies who attend. There are no tougher times that when that Mama Bear is activated! Prayer is exactly where we need to go before we let those emotions get the best of us. I sure wish you lived here, too! I would love the opportunity to meet in person! Carmen, this is a powerful message full of truth. Thank you for your encouraging words to writers. I sure needed to hear them today! I’ll be sharing this post all around. Lori, thank you for sharing this powerful message with us today! And if I lived anywhere near Pheonix you know I would be there for the worship and prayer event! Oh, how I wish you could come out, Leslie!!!! What a sweet gift that would be! Amen, Jennifer! Thanks so much for joining us today! agree, Carmen – God changes me more through prayer more than anything. great post – so Lori -you are back on hosting again? I missed something, obviously. Hi Sue! Yes! I’ve been back here since late January, only I changed to Thursdays! I’ve missed you! Love the series on prayer. Wish I could join you two in Arizona. I keep trying to see how I could make it but I know it isn’t meant to be this time. Great story! Prayer does change everything. 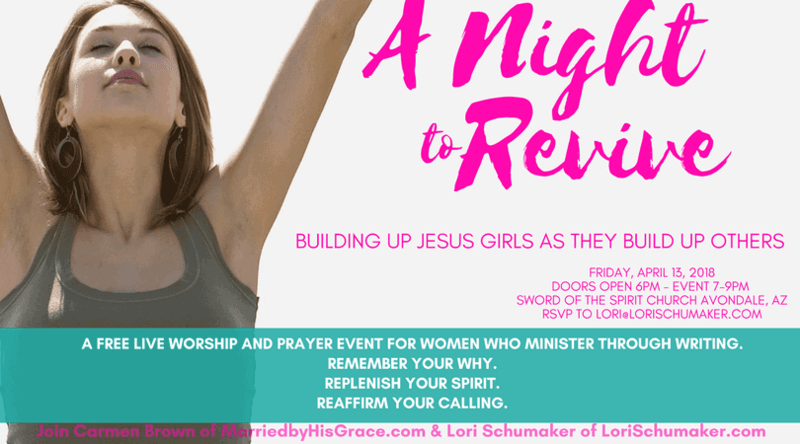 Oh, Lori, I’d LOVE to come to your event!! It will be amazing, I just know it! 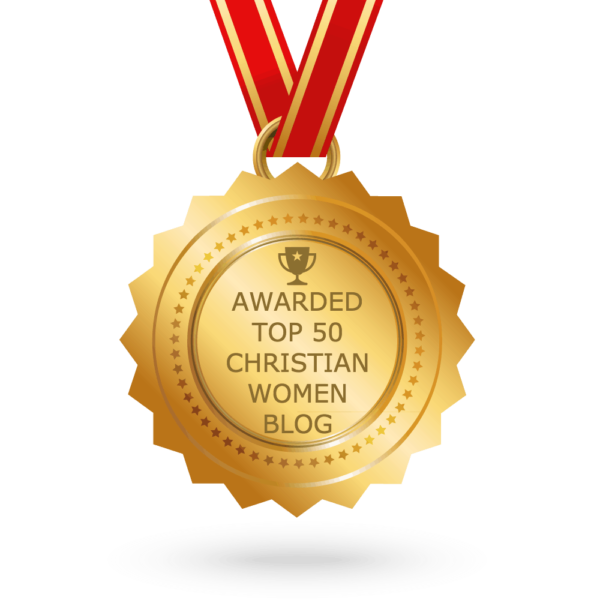 Carmen, thanks for your post – it was convicting and hope-giving. Thanks for sharing on Grace and truth.